Made up of 23 districts, each different from the other, Budapest‘s varied neighbourhoods make it a fascinating city to explore. Whether it is the cultural sights and museums that are on your Budapest bucket list, or finding the best places to eat and drink, the Hungarian capital has got you covered. Join us as we explore seven of the city’s most popular districts and discover all they have to offer. A charming district found on the Buda side of the city, Várkerület is home to a number of Budapest’s most beautiful landmarks and, thanks to its hilly layout, is a great place to go for stunning panoramic views over Pest and the River Danube. A slightly more residential area, it’s peaceful at night and popular by day with visitors looking to tick off the prime attractions from their list. Colorful buildings, cobblestone streets and traditional cafés can all be found in this charming historic district. 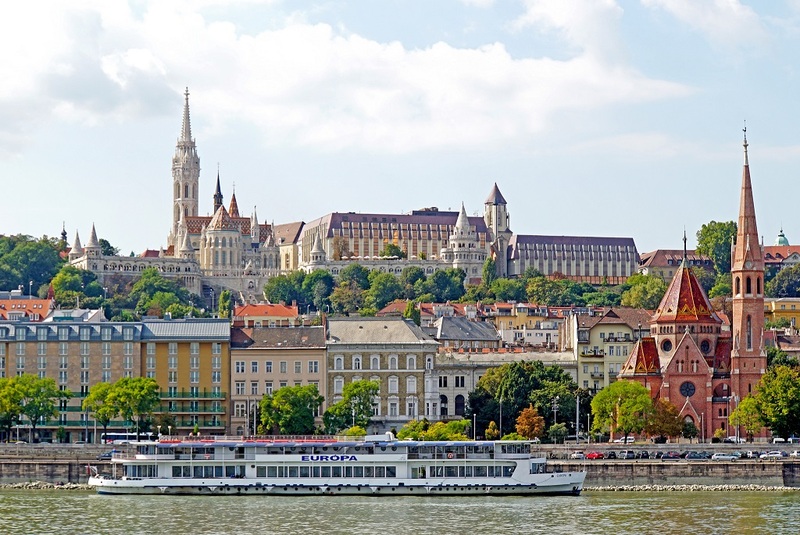 Visit some of the city’s most famous sights: the Fisherman’s Bastion, Buda Castle and Gellért Hill are all located here and can all be visited in the space of a day. Art lovers should head to the Hungarian National Gallery to check out Hungarian art from throughout the country’s history. For traditional Hungarian pastries at one of Budapest’s oldest cafés, head to the small – but perfectly formed – Ruszwurm coffeehouse. Part of this district forms Budapest’s downtown, and the area is the heart of the city, with cafés, restaurants, bars, clubs and architectural sights all found here. Thanks to the large number of attractions in the area, it’s often filled with tourists and a number of souvenir shops can be found lining the streets. 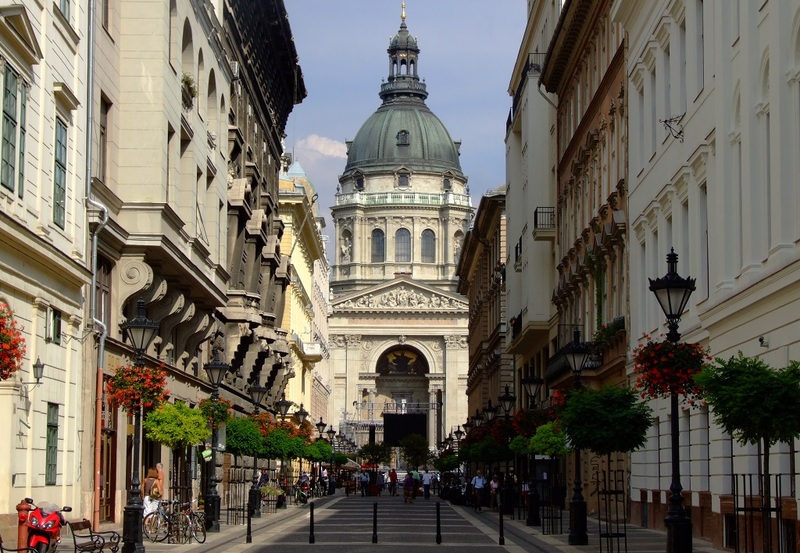 Nevertheless, there are also local haunts here, with eateries popular with residents and coffee shops catering to Budapestian regulars as well as visitors to the city. There’s plenty to see in this bustling district packed with architectural landmarks and sites of interest. St Stephen’s Basilica, the Chain Bridge, the Four Seasons Gresham Palace and the Hungarian Parliament Building can all be found here, among many others. For fine dining in a casual, cosy setting head to MÁK Bistro or the Michelin-starred Borkonyha Winekitchen. Madal Café and Espresso Embassy are both great options for specialty coffee and delicious snacks, and Akvarium Klub is perfect for afternoon drinks, or for dancing the night away (with a live music program presenting local and international names). Small yet densely populated, this bustling district in central Budapest is a hub of activity, with plenty of places to eat and things to see and do. The iconic Andrássy Avenue draws a line through the neighbourhood, which has become an increasingly popular artistic and cultural destination in recent years thanks to the large number of centrally located theatres. Quieter than District VII, with a slightly more local feel than District V, this is an area that caters to both tourists and locals. Many of the international embassies in the city can also be found along Andrássy Avenue, close to City Park. Catch a show at the Hungarian State Opera House, or simply admire its stunning architecture; wander along the World Heritage Site of Andrássy Avenue; pay a visit to the House of Terror Museum to learn more about Hungary under Communist rule. Grab a quick bite to eat at Pizzica, a small eatery with delicious, authentic Italian pizzas; for coffee, head to 9Bar, a small café offering specialty coffee and a welcoming atmosphere; VakVarjú is a great Hungarian restaurant serving hearty, delicious fare with a modern twist. 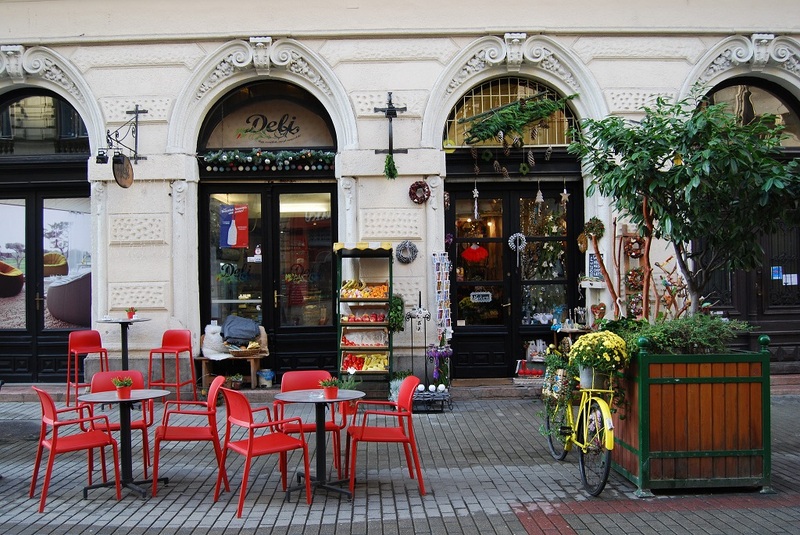 Alternatively, take your pick from the many restaurants and cafés that line Nagymezö Utca or Hajós Utca. If you’re looking for the liveliest nightlife in Budapest, you’ve come to the right place! The 7th district is also known as the city’s Jewish District and boasts plenty of bars and clubs in which to dance the night away. It’s the smallest, yet most populous, district in the city and can get pretty busy – especially after sunset. There are also a number of beautiful cultural sights, such as the Dohány Street Synagogue, to explore in the area. The Dohány Street Synagogue is the area’s must-see sight. Zeller Bistro is a neighbourhood restaurant that has gained a loyal following among locals and visitors; book well in advance to get a table. Middle Eastern-inspired food and a fairy tale setting can be found at Mazel Tov, a sophisticated ruin pub, where diners eat under a canopy of fairy lights. 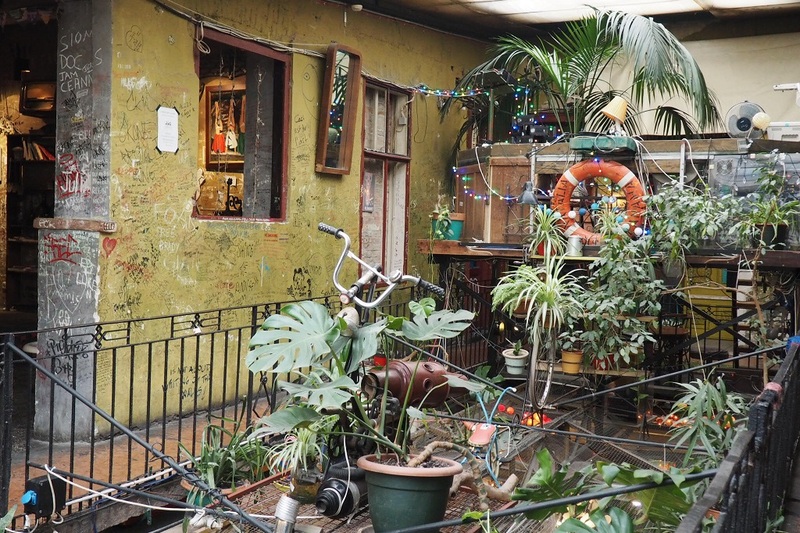 For drinks in a quirky setting, head to Budapest’s original ruin pub: Szimpla Kert calls the 7th district home; next, it’s time to dance the night away at Fogas Ház, a ruin pub/club that stays open throughout the night. An up-and-coming district formerly seen as one of the city’s rougher areas, today Józsefváros is an increasingly popular neighbourhood with stylish bars and restaurants appearing on a regular basis. If you’re looking for somewhere to eat or drink while rubbing shoulders with the locals, this is the place to go! With a bohemian feel, the area is mostly devoid of the stag parties and rowdy nightlife of the 7th district, and is instead packed with casual eateries and a sociable atmosphere. One of the city’s larger universities, Semmelweis University, is also found here, making the area popular with students. The Hungarian National Museum offers an insight into the history of the country throughout the ages, with a number of fascinating artefacts on display; get outdoors and explore the green expanse of Orczy Park – a popular place to go running in Budapest, or just to relax. Mouthwatering food and friendly service can be found at Padron, an intimate tapas bar in the heart of the district; a popular local haunt, Csiga Café, serves both food and drink in a casual, bohemian setting. Another student-friendly area, with both Corvinus Universty and ELTE (Eötvös Loránd University) located in this lively neighbourhood, this is another place to escape the crowds and enjoy life as a local. That’s not to say there aren’t great attractions to be visited: MÜPA and the Ludwig Museum of Contemporary Art can both be found here, as can the Hungarian National Theatre. For buzzing nightlife and delicious eateries, stick to the area near the Kalvin metro station – lined with bars and restaurants, including Michelin-starred Costes, Raday Street is the one to visit. The Ludwig Museum of Contemporary Art is a must for those wanting to explore one of the city’s best contemporary art collections; for a packed schedule of creative performances, with dance, music and theatre on the bill, head to MÜPA Budapest. Head to Costes for Michelin-star dining in a sophisticated setting; Rombusz Terasz is a community garden offering a number of pop-up events such as jazz performances and comedy shows, as well as being a relaxed place to grab a drink; cheap, cheerful and creatively decorated, Púder Bar is a ruin pub with a local vibe. 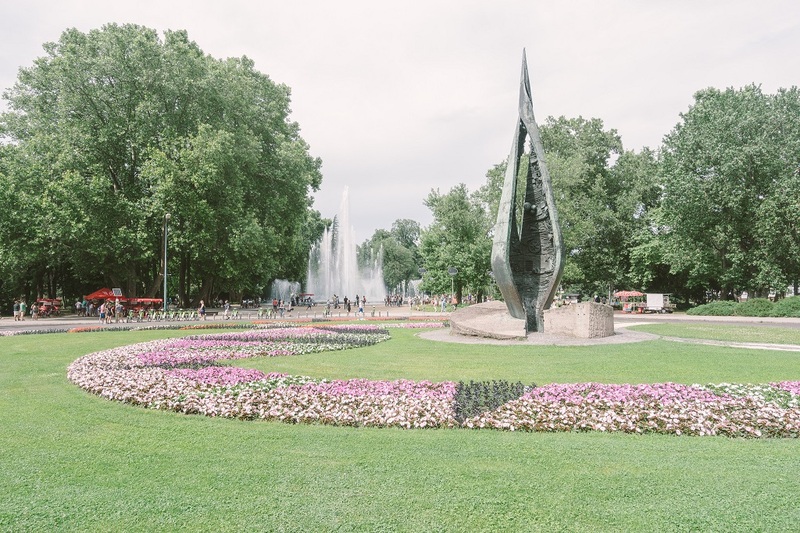 A more residential, calm and family-friendly neighbourhood bordering the River Danube, this peaceful area is popular with those looking to remain in the heart of the action while escaping the noise of more central locations. The leafy green expanse of Margaret Island is counted among the attractions in this district, and is a great place to escape city life for more natural surroundings. Szent István Park can also be found here, and is popular with locals and families. 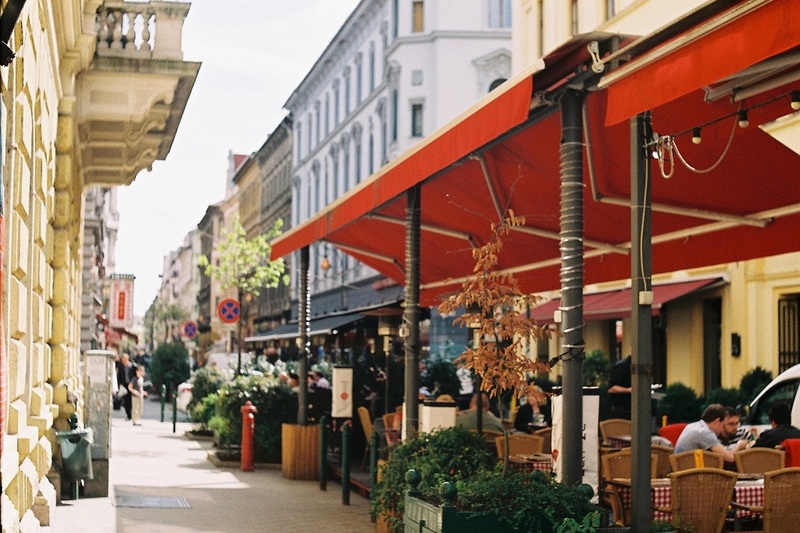 Pozsonyi Utca, a street leading off from Budapest’s grand boulevard and running parallel to the Danube, has become a stylish, tree-lined thoroughfare in recent years, with a number of specialty coffee shops, restaurants and a local feel. Margaret Island is the place to go for one of the city’s best running routes, for a taste of nature in the city, and for a relaxing afternoon away from it all.